The onset of the summer season in many parts of our country is accompanied by the invasion of the mites. The risk of meeting with these parasites is that the tick bite may lead to human infection dangerous infections – tick-borne encephalitis and borreliosis. If, returning from a walk in the woods, you find that you are bitten by a tick, take immediate action. If you find that they suffered the bite of a tick, try to remove it yourself, do not delay this procedure. Initial consultation on the removal of the parasite you can get, call the ambulance service. If it becomes clear that self-removal of the tick is difficult, you urgently will send in the regional sanitary-epidemiological station or the emergency room. When unavailability of qualified medical aid, try to take independent action immediately, because the probability of the disease tick-borne encephalitis depends on the time during which the parasite was in a stuck condition. Inspect the mite affected place and wipe the skin around it with cotton or a bandage soaked in alcohol. Prepare a strong string and carefully tie it closer to the proboscis of the tick, to form a node. Smooth motion pull the tick upward, trying to avoid jerks. To perform this procedure without haste, usually by removal of the tick takes 10-15 minutes. After removing the parasite once again wipe the injured area of skin with alcohol. If removing the tick his head came off and remained in the site of the bite in the form of a black dot, remove it with a sterile needle, pre-calcined in the fire. Act like normal and remove the splinter. Be careful not to squeeze the body of the parasite, to prevent extrusion of pathogens in the wound. Remember that when separation of the head of the tick infection process of the wound can continue. Completely removing the tick, clean the skin at the site of its bite with tincture of iodine. Usually a dressing is not required. Remote the tick place it in a suitable glass vial with a tight lid, after putting back the cotton swab moistened with water. The closed vial is put in the refrigerator. In the near future take the lessons of the parasite in the laboratory of sanitary-epidemiological station for microscopic diagnosis. Please contact your local point of prevention of tick-borne encephalitis, without waiting for the results of microscopic analysis. This is especially important if you're in the area, unfavorable from the point of view of tick-borne encephalitis. Emergency prevention immunoglobulin is carried out usually in the first days after the bite. The long-awaited warmth is invariably accompanied by the invasion of the mites. The bite can lead to dangerous infectious diseases. The most common are: tick-borne encephalitis and Lyme disease. Upon detection of the stuck parasite need to take extra measures that will help to prevent dangerous consequences. If you came back from a walk and found his body stuck tick, the correct action would be to go to the hospital. There you will remove the parasite and send it to the laboratory tests that will help figure out the tick is a vector or not. If you find a tick on the body of the child go immediately to the infectious Department of the hospital where the baby will remove the tick and put an injection of immunoglobulin. Often there are situations when seeking help from professionals is not possible. For example, if you are in a forest or far from the city in the country, to remove the parasite yourself. The delay in this case is unacceptable. The probability of getting an infectious disease depends on the time during which the tick was in your skin. Before the removal procedure wipe around the stuck tick in alcohol-containing liquid. Suitable alcohol, vodka, Cologne, toilet water, or at least iodine, brilliant green. A strong silk or woollen thread of the tie as close as possible to the proboscis of the parasite, shaking movements gently pull the tick upwards. If the proboscis was left in the skin, remove it with a needle, treated over a flame. Recoat the affected area, place the tick in a clean glass container, thoroughly wash hands and treat with alcohol-containing liquids. Then your actions should be directed to immediately consult a doctor. The yodanthipirina, immunoglobulin rationally be put only in the first three days after a tick bite. If during this period you have not managed to take all measures not to get sick, an infectious disease, you will only have to observe the state of his health. Blood tests for infection can be carried out only after 10 days. In earlier periods, the test will show false results. In late spring, summer and early autumn so pleasantly situated in the woods, enjoying nature and collecting forest produce. Here are just some of the local fauna can be very not mind to meet you. One of these dangerous enthusiasts, and the forest tick. Clinging of the parasite you want to remove, and to remove the insect along with the head and trunk. In pharmacies sell special tweezers, which is very convenient to remove embedded ticks, while leaving the head of the insect. The tick must hold between the teeth of the tweezers, after which the insect gets out. There are also special metal hinges that are put on the tick and circular movements and remove it. If a special device you have, and go to the pharmacy there is no way to remove a tick with ordinary tweezers. Grasp the insect as close to the head and spin the tick around its axis, keeping the tweezers at the same perpendicular to the skin. Removing the tick can be and fingers, however, before you begin this procedure, wrap them with gauze. Because ticks are carriers of many infections. As when working with tweezers, you should grab the insect as close to the head and rotate it. It is convenient to remove the tick along with a head with string. Tie a knot as close as possible to the proboscis of an insect, and then, shaking and pulling on the string, slowly pull out the parasite. If despite all your efforts, the head of the tick remains in the skin (it looks like a black dot at the bite site), you must remove it. Clean the skin with alcohol, calcined needle over a flame and also disinfect it. With the help of a needle remove the insect head, as if you have removed a splinter. Often glaring mite treated with a fatty cream or sunflower oil in the hope that the insect, which blocked the access of oxygen, he decides to come out itself. However, the effect is the opposite – the tick even deeper into the body of his victim. Ticks are carriers of tick-borne encephalitis. If you managed to remove the living tick, you can go to the lab where the explore the insect and render a verdict, establish whether you the disease. 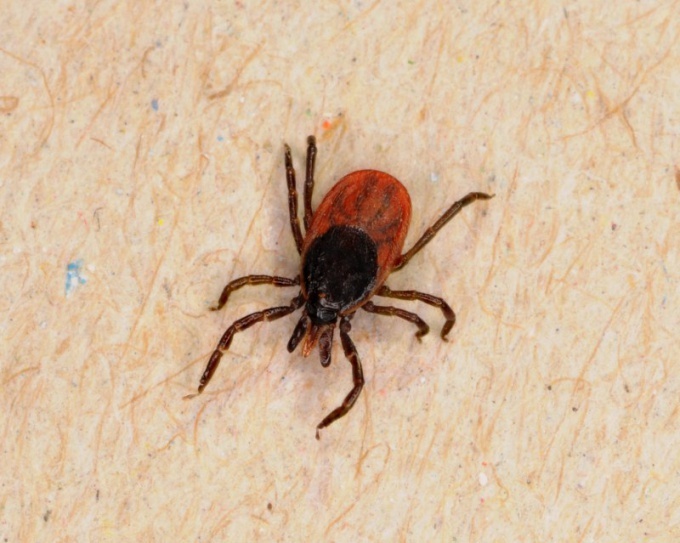 The tick bite is quite dangerous because it can cause deadly diseases such as Lyme disease. If you are bitten by a tick, you must immediately check it for the presence of dangerous viruses. When a tick bite should immediately contact the clinic by place of residence, namely to the infectious diseases ward. This incident is not classified as urgent, so you will be only in the order queue. If your clinic is not a specialist in infectious diseases, you will be redirected to the nearest medical facility, where available. If the tick has bitten you in the day, feel free to contact a nearby emergency room. If you have not been vaccinated against tick-borne encephalitis, you immediately enter tick immunoglobulin, and then will prescribe a course of antibiotics to prevent Lyme disease – one of the deadly diseases. It is desirable when applying to the emergency room to have a passport and medical insurance. In major towns and cities of Russia have labs where you can apply for removal of the tick and testing for the presence of infectious diseases. However, such laboratories are often private, so the medical examination and any subsequent treatments you will have to pay. If you are bitten by a tick while traveling, you need to contact an ambulance and to check with the attendant where the nearest emergency room or other medical facility where staff can help you to get rid of the parasite. Turning to the medical institution where you are registered, you may be asked to show the policy of obligatory medical insurance. If you have no opportunity to consult specialists, you can try to remove the parasite yourself, but it should be done very carefully. You need to pinch the tick with tweezers, and then gently twist, without squeezing it, and without making any sharp movements. It is necessary that the parasite came fully together with the trunk. If the trunk is still off, clean the bite with alcohol and then with the help of heated needle to remove the head of the tick. To check the tick in the laboratory we need to keep him alive by placing in a glass jar. Mite is one of the most dangerous insects, as it can trigger the development of serious infectious diseases. To pick up a tickand is easy enough after a forest or Park walks, and notice it is very difficult. And if the tick all-taki has been detected, it is necessary to get rid urgently. Black forest mite cannot travel long distances, therefore his victims, he waits sitting on a branch, leaf or blade of grass. Once a person is on distance of the extended legs of the tick, it clings to your clothing or skin (most often on the face, neck, head and feet) and begins to look for a suitable for "bloodshed" place. Finding the right, fully insect plunges its proboscis under the skin and starts sucking blood from the subcutaneous blood vessels. And sometimes itself gets under the skin. To date, forest ticks are most often attack people not only in forests but also in suburban, rural and even urban areas. Sucking human blood, the tick distinguishes the wound quite a large number of saliva, which implements the body of pathogens of various infections. One of the most dangerous diseases spread by ticks, is encephalitis – inflammation of the brain, which can lead to death and serious complications in case of survival of the patient. If you find a tick, pull it it is necessary very carefully. Do not start to panic – trembling hands it is difficult to remove the tick, not tearing immersed in the body of the proboscis. Place a large parasite with oil or alcohol and wait twenty minutes until it starts to suffocate under the oil-film and crawl out. Then, if the tick does not get out on their own, catch its thread loop or tweezers, gently shake and carefully remove from the skin. Be sure to disinfect and seal the wound left after the tick, because through it the body can get infected. Remote parasite, it is desirable to put in tightly closed bottle and take the examination in an institution. Try to visit the clinic, where you will be injected immunoglobulin containing antibodies against HBV and mites. Usually medication is single, but these appointments should be at least a month, and in case of symptoms the treatment will have to take place in the hospital. 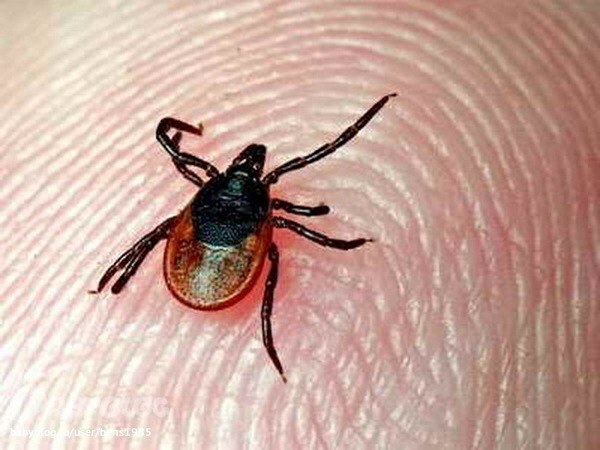 To go to the hospital after a tick bite is just necessary if one notes the cramps, paralysis of certain groups of muscles, impaired sensitivity, headaches and high temperature. All these symptoms may indicate the development of tick-borne encephalitis, which in absence of appropriate treatment with medicine can lead to death within one week. Ticks are very dangerous because they cause various diseases, most dangerous of which is encephalitis. Many not take seriously the likelihood that they will be bitten by a tick, until, until you find it for yourself. What to do if bitten by a tick? Many simply do not understand how to remove the tick, especially in a state of panic, which covers in such cases. To avoid a tick bite, you need to take precautions to regularly do preventive vaccination and the use of repellents. In that case, if bitten by a tick should contact the emergency room to remove it, because ticks can be dangerous. If bitten by a tick, but no opportunity to go to the doctor, try to remove it yourself, doing it as carefully as possible. Should I try to pull the tick yourself? Yes, but you need the curved or any other tweezers or special tweezers. Do not try to simply pull the tick Ixodes from the body. Chances are good that you will tear off the body, and the insect head remain. It is the most dangerous, so try to grab the tick as close to the head, then it needs to be carefully rotated on its axis in any direction and at the same time pulling from the body. The only way to remove the tick, it does so and the doctor in the emergency room. Do not try to pull and don't need to intercept the tweezers to relieve the pressure and eliminate contact with the wound the saliva of the tick Ixodes, this will help reduce the risk of infection with tick-borne encephalitis or other infection transmitted tick. If you are not able to avoid rupture of the tick, and the wound in his head, it is necessary to remove, as a splinter, and then to treat the wound with a solution of brilliant green or iodine. 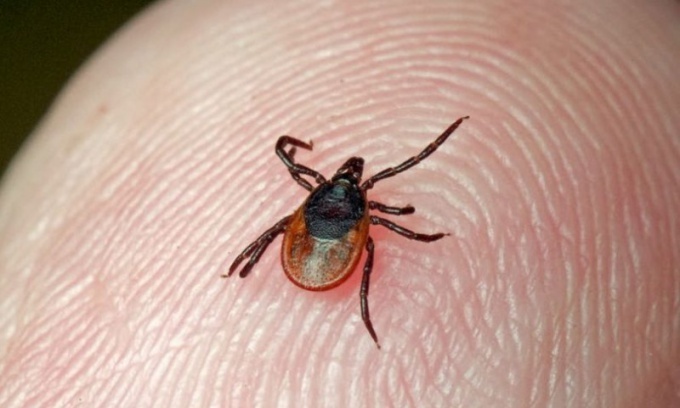 If bitten by a tick, but managed to remove it, the insect must be sent to the laboratory for testing for carriers of infections. To do this, put it in a glass bottle, tightly close the lid and put it in the fridge. It is desirable that the tick was alive when you deliver it to the lab. If you only have fragments, bring them in also, but in this case, the probability of detection of infection is greatly reduced. If you find that Ixodes tick was infectious, you will need to do a preventive treatment after a tick bite. For urgent prevention of encephalitis by a physician using special drugs. This is basically what should I do if bitten by a tick. The smaller tick was in contact with the body, the less the risk of infection, so it is advisable to remove a tick from the body. The most accurate way to determine if the infection is to take a blood test, but not immediately after a tick bite, and after 10 days later. Spring and summer is the time for collecting mushrooms and berries, it's time for picnics and tenting, EN nature. 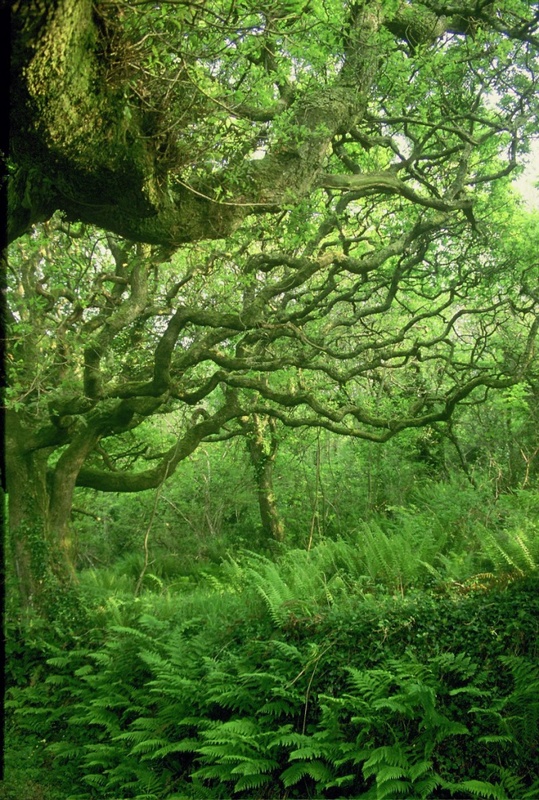 But the forest is fraught with serious danger: its constant inhabitants – ticks are a major threat to humans. Mites that live on the territory of Russia, often are carriers of two serious diseases: tick-borne encephalitis and Lyme disease. Ticks live in forest litter – a layer of last years leaves and fresh grass, warmed by the sun and moderately moist. In swamp forests, and open dry glades mites are not found. Attacking the man, the tick secretes from his salivary glands a substance similar to the anesthetic, so usually one does not feel the bite. Further, within a few hours, stick the tick feeds on the blood, accumulating it in reserve in your abdomen, and then disappears. During this time, if a tick is infected with a virus encephalitis or borreliae, there may be infected person. Tick-borne encephalitis – an acute viral disease affecting the nervous system. Its symptoms are similar to flu: fever, headache, pain in the muscles. After some time, added neurological symptoms caused by brain damage – seizures, muscle damage, rarely coma, and, consequently, death. Sometimes after the disease for life remains partial or full paralysis of the limbs. Lyme disease – a disease that primarily affects the joints and muscles. Untreated Lyme disease can lead to complete disability. The most appropriate action when a tick bite is the address to the doctor. But if you get to hospital is not possible, you need to try as soon as possible to get rid of the mites on their own. If it is infected with tick-borne encephalitis virus, the probability of becoming infected is directly proportional to the contact time of the tick with blood of man. To remove a tick it is necessary very carefully, trying not to crush, tweezers counterclockwise. In no case do not pull and pull – there is a risk to leave in the skin of the head of the tick, which will have to be removed surgically. After removing the tick, inspect. He should have five appendages: four legs and a proboscis. If processes is less so something that can stay under the skin. You can't throw the tick after extraction. It must be placed in a small sealed container and take it to the study based on the paragraphs of the study of ticks in your city is better to know in advance). In 10 days after the bite required to donate blood for antibodies to encephalitis and borreliosis. After that, the hospital will tell you when to come for repeat tests because antibodies need to track dynamics. 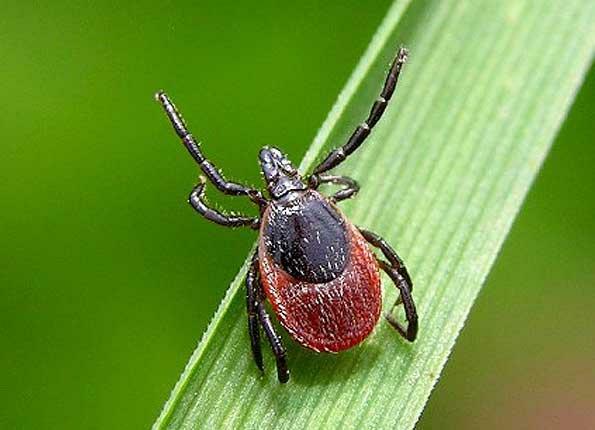 First aid for tick bites is the introduction of immunoglobulin for the prevention of encephalitis. To give you a shot or not – everyone decides for himself. But remember, if the disease does develop, the treatment will be very long and serious. For the prevention of Lyme disease can be treated with antibiotics. Going into the woods, you need to wear closed clothes with long sleeves and a hat. Every two hours is recommended to spend itself - and vzaimoosmotry. Pets after a walk should also be examined carefully. Against tick-borne encephalitis has a vaccine, but the first introduction should be done in the fall, for 6 months before a possible contact with ticks. More about this can be found in the district hospital. From Lyme disease there is no vaccine. With summer coming, the risk of tick bites increases. These insects can lurk not only in forest but also in the city. They have extraordinary intuition and can immediately "throw" on an animal or person as soon as they get close to him. Ticks are most active from April to September, but many of them, having survived the first frost, again activated. They love cool and try to live in places where the sun is blazing and the temperature does not exceed the threshold of +20 °C. Mites are small, in the fasted state their length does not exceed 4 mm, while females are slightly larger than males. At the moment when the tick drinks blood, it can reach up to 3 cm. Ticks waiting for victims on the ground, putting thus forward the front legs, which have special sense organs capable of responding to the odors and warmth. When approaching prey, the tick latches onto it with its front paws. But when he reached the body, biting mite slow, it can take up to several hours before it happens. At this time, if it finds out that the bite will be avoided. Chosen place for a bite, mite chelicerae (oral appendages) bites through the skin, and then pushes into the wound, hypostome (special outgrowth of the proboscis, covered with a kind of hooks, intended for attaching the tick to the animal). During a bite, with tick saliva enters the pain killers, so this moment is almost always not caught. The male ticks attach themselves for a few hours, and then fall off, often remaining unnoticed by the victim, females are on the body for a few days. But the threat of infection, e.g. tick-borne encephalitis from the floor of the insect depends. After discovering the tick, do not panic and try to immediately get rid of the insect sucking on the skin. Clamp firmly placed in the middle of the wound and therefore, it must slowly erode. If you hurry is likely to leave the head of the tick in the wound. Pulling out the tick, do not eat at the same forceps or tweezers, just pull softly the insect clockwise. Some manage to throw a loop on the body of the tick and spreading to the sides of the thread to pull it out. Before the procedure, smear the tick with vegetable oil and wait about 10 minutes and then remove. Note: do not coat the tick with alcohol-containing liquids. Often the tick bite is found after he disappeared. On the site of the bite there is a red spot with a diameter of about one centimeter. If the bite made the infected insect, it may cause serious health problems. In particular, tick-borne encephalitis, which affects the nervous system that can cause inflammation of the brain. The treatment of the disease is quite complex and not rare cases of lethal outcome. Signs of tick bite can be the usual increase in temperature and pain in the muscles, it's very similar to acute respiratory disease. Disease Lyme borreliosis may not manifest until 6 months, however, the infection in the body develops. This disease usually accompanied by fever and timely treatment can prevent kidney failure and heart. 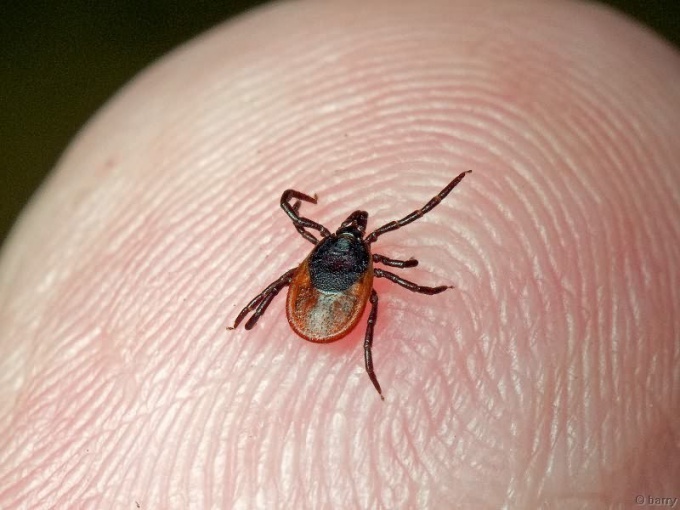 In any case, after a tick bite, you must visit a doctor who will be able to determine what kind of bite and the time to prescribe treatment. In the warmer time of year so nice to get out into nature, walk in the woods, sit on the grass. Unfortunately, in addition to positive emotions, you can bring the tick is a small arthropod that are able to deliver a lot of trouble. Finding on the body of the embedded tick, it makes sense to go immediately to the emergency room where the doctor with the help of special tools that will remove forest guest and will tell you where to go next, to make sure that you are infected with one of the tick-borne infections. However, if the nearest clinic is left a hundred miles behind us, it is better not to wait to return to the city and to extract the arthropods themselves. Remember that the more time a tick will hold in your body, the higher your chances of getting sick. The tick is convenient to extract using a surgical clamp or curved forceps, but if those are not available, will fit any similar device. The tweezers grasp the body of the animal as close as possible to the proboscis, and slowly rotate several times around its axis. Do not make sudden movements, so as not to tear the head from the body. In this case, removing it will be extremely difficult. In pharmacies sell special tools designed to remove embedded ticks. They are similar to tweezers, but the body of the tick is squeezed, which prevents additional doses of arthropod saliva in blood his victims. If not at hand any tools that can facilitate the extraction of the tick, use an ordinary thread. Tie the animal as close as possible to the proboscis and start to shake a string, moving her to the side and up. After a few smooth movements tick will appear with all of your limbs. Once tick removed, carefully consider the location of the bite. If you see a black dot, it is obvious that operation succeeded, not completely, and in the body of the left head. It can uninstall pre-treated with alcohol the needle, as if you removed the splinter. After that the bite should be cleaned with a cotton disk soaked in alcohol, or treated with iodine. Ticks are carriers of various infections: encephalitis, tick-borne borreliosis, babesiosis and others. Once in the city, visit a doctor and submit to a blood test to make sure that the agents of these dangerous diseases have been at the blood. Quite common belief that embedded ticks must attach a cotton pad soaked in vegetable oil. It is believed that arthropods after that, feeling the lack of air, will come out on their own. In fact, the tick will try to bite into the body as deeply as possible, but if you persist, and die. Not long ago, the mites seemed like a gimmick and were mainly found in the taiga. Today these parasites moved in our cities. Where you can often find a tick on your body and how dangerous its sting is to know everyone. The mites activity is in the warm time of year – from late spring until the autumn frosts there is a risk of a dangerous bite of this insect. The danger lies not so much in the possibility of the bite as in late discovered the place where the tick has stuck. And if the visible parts of the body are thoroughly inspected under the bends of your knees or in the creases of the breast risk not to notice the tick is very high. A tick bite carries the risk of Contracting encephalitis. And the longer the insect is in contact with the person, the higher the risk. 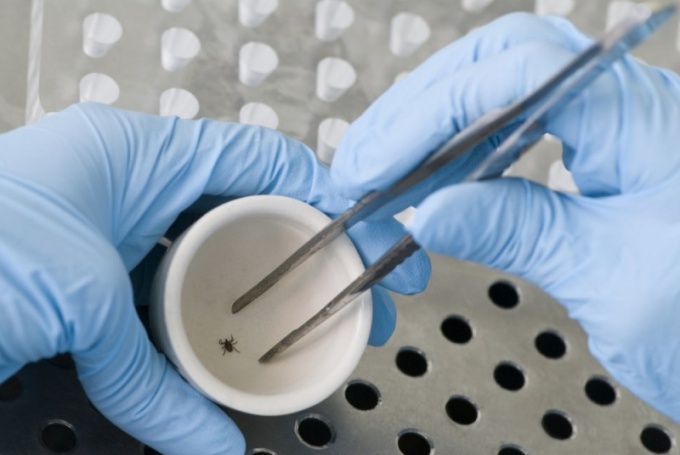 Not all ticks are carriers of this dangerous virus, but again in the case of not detecting the bite in time increases the risk of wound infection. The intervention of the tick sometimes hard to feel. The fact that upon contact with animal skin and inject their saliva than anaesthetises the bite. Mite clings to the vessels and feeds on blood until, until he will find, infecting the blood and exposing it to a man in mortal danger. Mite selects its prey by smell. For the bite of this parasite chooses a soft and warm place, preferably moist – so any hidden fold on the body can be a temporary haven for mites. Definitely in this place blood vessels should be located as close as possible to the surface of the skin, that was easy to get to them. This is mainly the armpits, neck, area behind the ears, under the shoulder blades, groin, buttocks, rarely the muscles of the calves and shoulders. And the sweaty places under the elastic band, belly, bend your knees and folds of the breast. Under the hair skin is also delicate, and because ticks often choose to bite the head, but to find it difficult. Any prevention of ticks and insect bites starts with the right kind of clothes. In a place where a lot of trees and tall grass, it should be possible to close all areas of the skin, and the remaining visible spray repellent – special repel any parasites. Upon returning home or to the place of temporary lodging you should carefully inspect themselves and each other, subjected to critical investigation of all suspected bites and take appropriate measures if a tick still managed to sink into the skin. Removal of tick and treatment of bite it is better to trust the health worker is to immediately contact the nearest hospital.